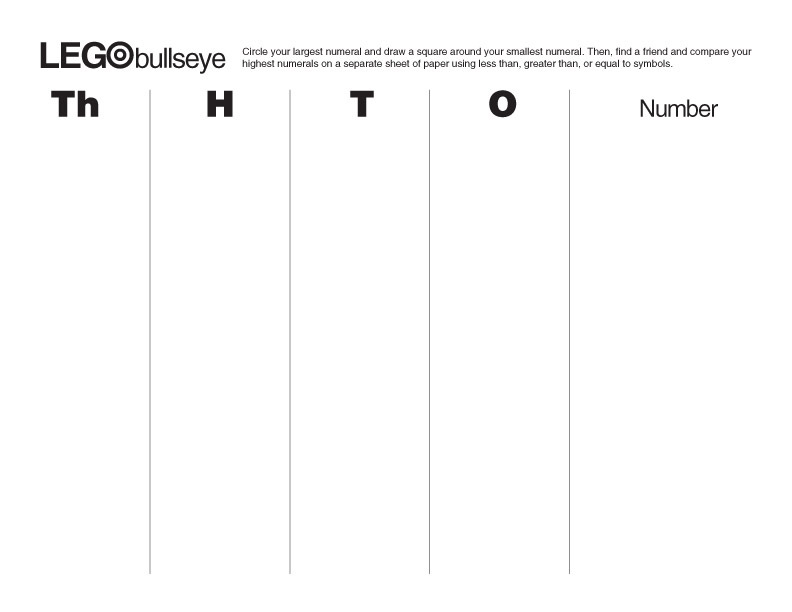 Bullseye place value is a hit in every classroom. To switch it up and make it a bit more difficult, I incorporated Legos. 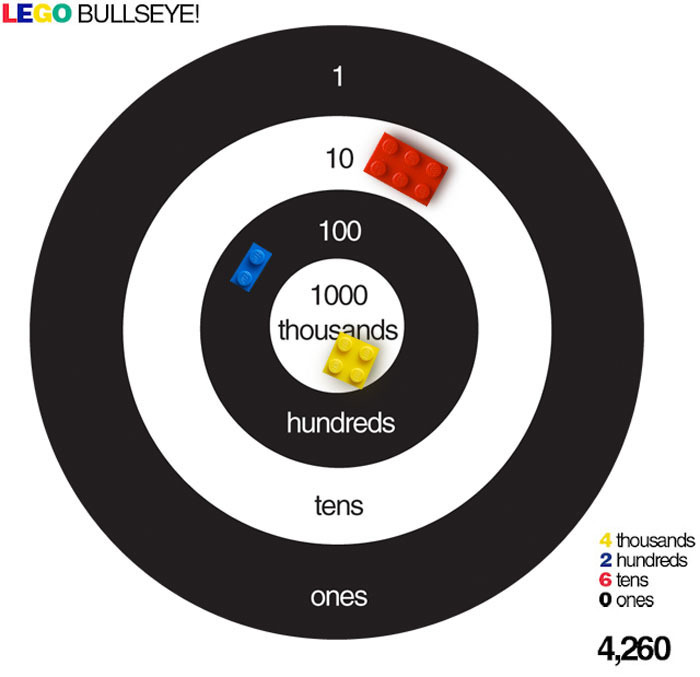 Kids toss Legos onto a bullseye target (this can easily be made out of paper). Next, gather up Legos with different numbers of studs on top. The studs will represent numbers. Kids use the studs on the Legos and the place value rings they land on to figure out their number. If two Legos land within the same ring, then kids count the studs on both Legos. I recommend one six or eight studded Lego per toss. Also, a big bullseye mat is always more fun! I love this! it's really creative and 'cool'. I needed this for my 4th grade for fun enrichment! Thank you!